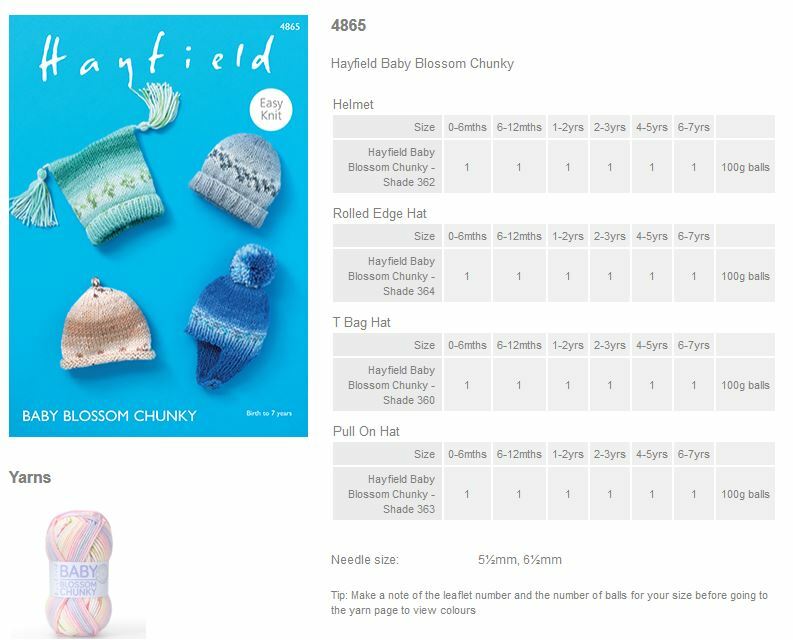 4865 - Helmet, Rolled Edge Hat, T Bag Hat and Pull on Hat using Hayfield Baby Blossom Chunky Leaflet with designs for a Helmet, Rolled Edge Hat, T Bag Hat and Pull on Hat using Hayfield Baby Blossom Chunky. 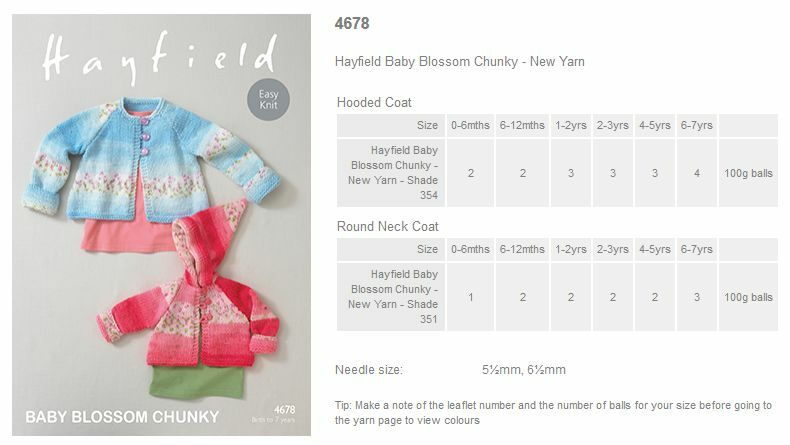 4864 - Jacket and Trousers using Hayfield Baby Blossom Chunky Leaflet with designs for a V Neck Cardigan and Shawl Collar Cardigan using Hayfield Baby Blossom Chunky. 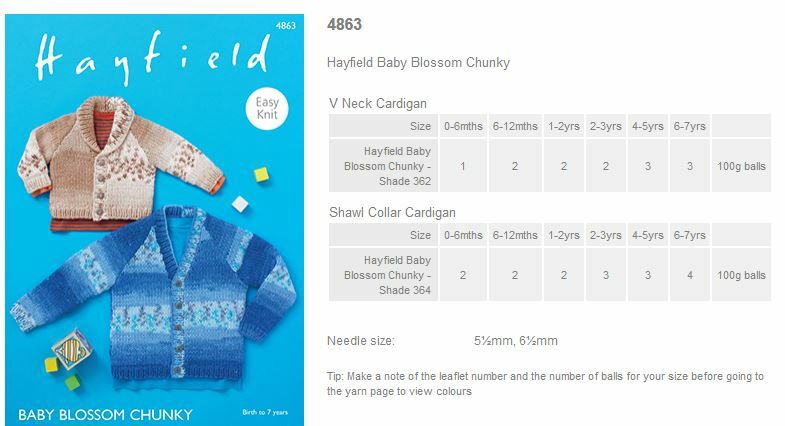 4863 - V Neck Cardigan and Shawl Collar Cardigan using Hayfield Baby Blossom Chunky Leaflet with designs for a V Neck Cardigan and Shawl Collar Cardigan using Hayfield Baby Blossom Chunky. 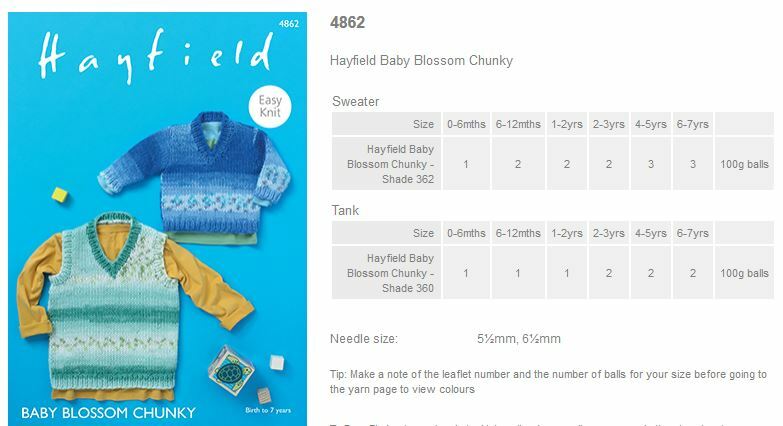 4862 - Sweater and Tank using Hayfield Baby Blossom Chunky Leaflet with designs for a Sweater and Tank using Hayfield Baby Blossom Chunky. 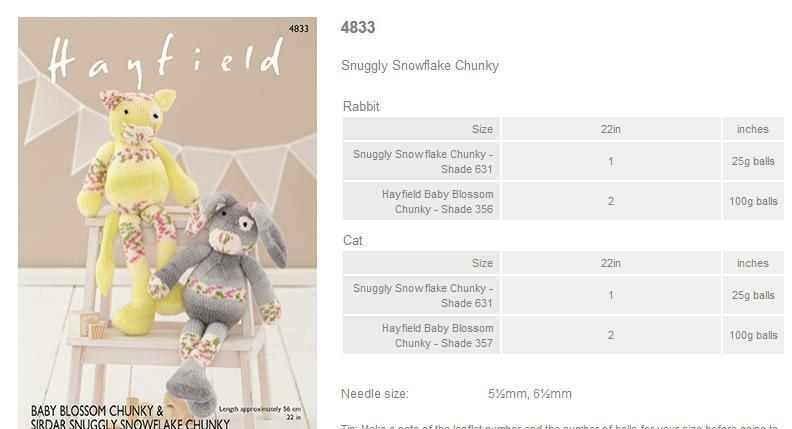 4833 - Cat and Bunny using Hayfield Baby Blossom Chunky Leaflet with designs for a Cat and Bunny using Hayfield Baby Blossom Chunky. 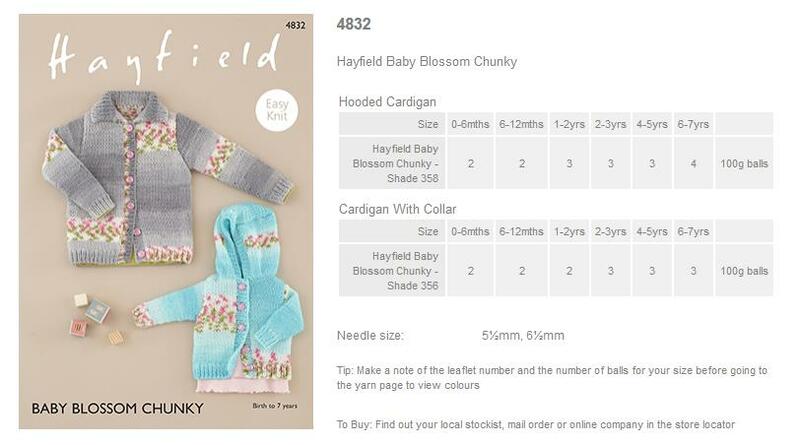 4832 - Girls Cardigan and Hoodie using Hayfield Baby Blossom Chunky Leaflet with designs for a Girls Cardigan and Hoodie using Hayfield Baby Blossom Chunky. 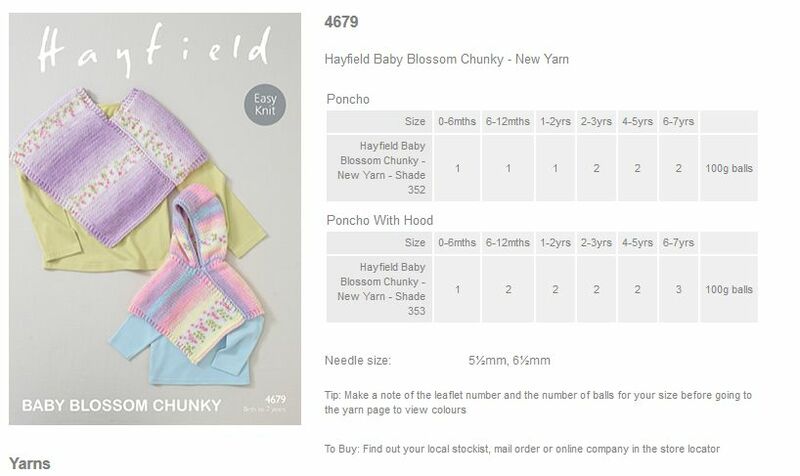 4679 - Poncho and Poncho with Hood using Hayfield Baby Blossom Chunky Leaflet with designs for a Poncho and Poncho with Hood using Hayfield Baby Blossom Chunky. 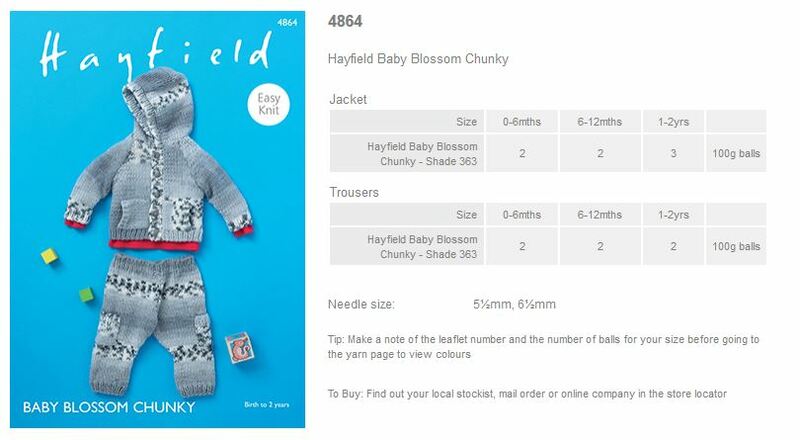 4678 - Hooded Coat and Round Neck Coat using Hayfield Baby Blossom Chunky Leaflet with designs for a Hooded Coat and Round Neck Coat using Hayfield Baby Blossom Chunky. 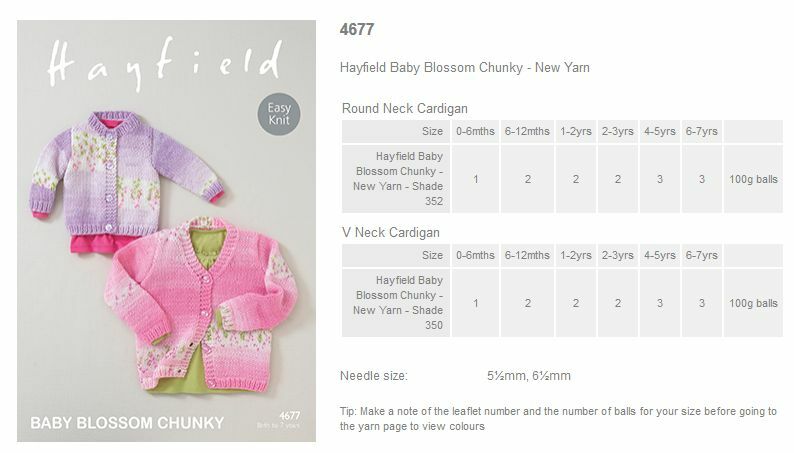 4677 - Round Neck Cardigan and V Neck Cardigan using Hayfield Baby Blossom Chunky Leaflet with designs for a Round Neck Cardigan and V Neck Cardigan using Hayfield Baby Blossom Chunky. 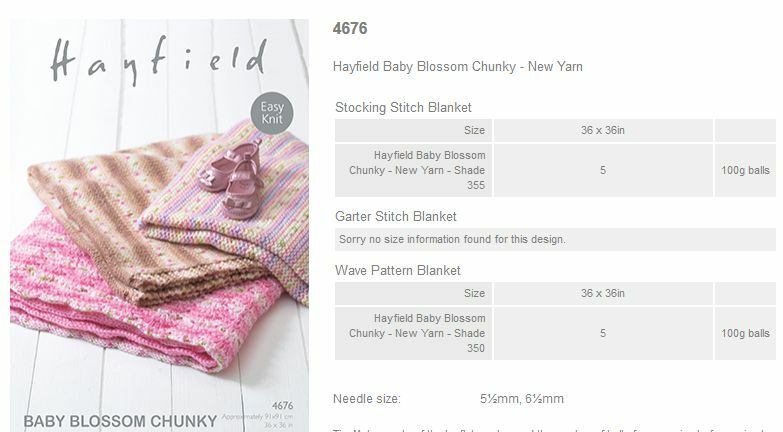 4676 - Stocking Stitch Blanket, Garter Stitch Blanket and Wave Pattern Blanket using Hayfield Baby Blossom Chunky Leaflet with designs for a Stocking Stitch Blanket, Garter Stitch Blanket and Wave Pattern Blanket using Hayfield Baby Blossom Chunky.